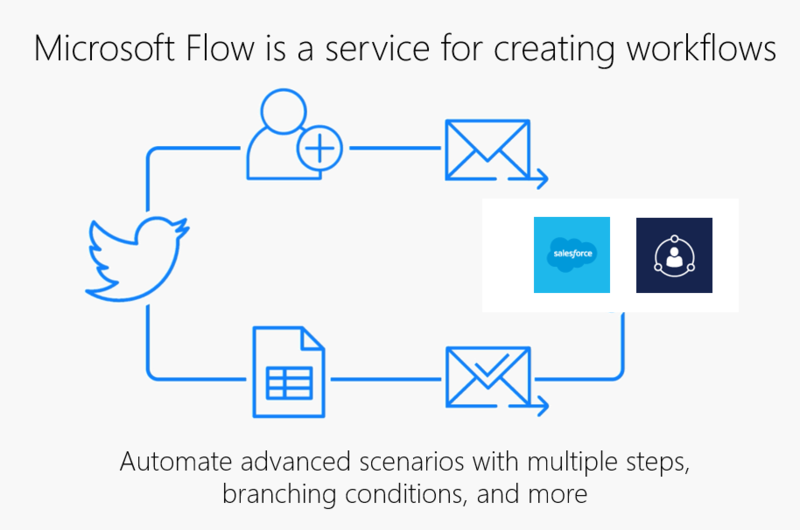 Microsoft Flow – Effective Business Process Automation. Office 365 comes with a multitude of different applications to help make your day-to-day run more smoothly, but did you know that many of them can also be automated to work together? Better still, you don’t need to be a developer to start taking advantage of this functionality – it’s already available in a neat tool called Microsoft Flow, and it’s another fantastic addition to the suite of products that OfficeLabs can incorporate into your business. So, what is a Flow? Flows are Microsoft’s new lingo for “workflows”, which you may have heard being used in older versions of SharePoint — but here they are much easier to use. They are simply ways of automating processes which occur when a specific event or action is triggered. For instance, you may want to copy a file to SharePoint as soon as someone uploads it to OneDrive, or maybe send an email to a specified address when a list item is added to SharePoint. Flows can be as simple as setting daily reminders, or collating Tweets in an Excel file. Essentially, a Flow is an extremely versatile automation tool, which can save you a lot of time. Great, but how will that help my business? Customers are looking increasingly at the responsiveness of any business they want to engage. As an example, when you place an order with an online shop, you’ll start to get worried if you haven’t had an email confirmation by the next day at the latest. Many businesses still rely on manual order handling and don’t realise that there are alternative options that will improve the experience for both their customers and themselves. Flow uses automation to take the stress out of many business processes, as well as allowing you to connect to and collect data from over two hundred different sources, including Facebook, SalesForce, Dropbox, Slack, and more. You simply need to decide what you want to automate, create the connection between the applications using Flow, choose the criteria which will trigger that process, and save it! The more Flows you create, the more time you’ll save in the long run – they run in the background, and are easily manageable at any point. Flow lets you cut through the clutter of a busy work schedule and focus on what is important. If you’re receiving hundreds of emails a day, it can be tough to prioritise the critical tasks. However, if you set up a Flow to alert you when an email specifically mentioning your name arrives, or push a notification to your phone when you receive a high-priority email (or perhaps one from your boss! ), you’ll soon find numerous ways of keeping on top of things. These are just two of many, many options for the Outlook 365 connector alone. Flow has thousands of templates across its connectors, ready for you to start using out of the box. Alerts and responses are the bread and butter of Flow, and the number of different sources available opens up vast possibilities for your business – and data management in particular. You can set Power BI to automatically create and send an email when a data alert is triggered. But maybe you want to synchronise your platforms, so that if a user creates something in SharePoint, the same record also gets created in Dynamics? Flow will let you do it. The flexibility and scope of the application is tremendous, and OfficeLabs will work with you to determine where your most common time-consuming tasks lie, and create the Flows you need to automate those tasks as much as possible. Better still, we offer Microsoft Flow Training which can show you how to use the intuitive Flow interface to build your own, and manage them within the Flow Admin Center. Businesses often overlook the value of social media, in particular regarding its metrics. Yet, society is drawn more and more to applications like Twitter and Facebook, and savvy businesses are leveraging their popularity to provide a personal face to their company. By utilising connectors from Flow to Twitter, not only can you collate tweets which mention your company name (or keywords you provide), but also craft automated responses to customers who tweet about your business. Furthermore, Flow lets you create push notifications to enable a quick response to a customer query, and imports metrics from all of your connections into Excel for further analysis. If you know how quickly (or slowly) you are responding, you know where you need to improve. If people are using hashtags in their tweets, Flow can add an entry into a SQL database behind the scenes. If you have an announcement you need to make, Flow can be set to send out a tweet at a specific time. Or create a Facebook post at a time of your choosing. Or use a Facebook post to then create a tweet. Your marketing department will love the flexibility Flow offers, and you’ll love the amount of productivity you’ll regain, by simply automating tasks that would normally eat up hours of a day. Like all of Office 365’s applications, Flow embeds itself easily within collaboration tools such as Microsoft Dynamics 365. It also has its own self-contained collaborative functionality called team flows, which allow multiple people to own and manage a Flow together. This is especially important if your workplace often moves people between different projects; team flows ensure that anything set up by a single person doesn’t disappear into the ether when they move elsewhere in the business – shared ownership lets anyone with the right permissions continue to update the Flow, or add or remove other owners. Mobile scalability is also important in the age of Bring Your Own Device (BYOD), so it’s no surprise to learn that Flow is supported on both Android and iOS operating systems. 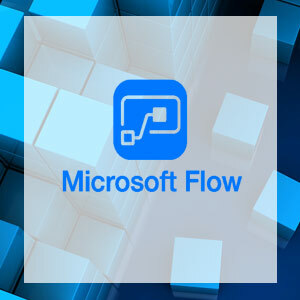 And of course, if you ever have any questions about using it after the initial set-up, OfficeLabs [RK5] offers Microsoft Flow Support as part of its implementation options. These are just some of the benefits Microsoft Flow can offer your company. When you book an appointment with an OfficeLabs consultant, they will talk to you in depth about your business needs, and how best to utilise the power of Office 365. Remember, Flow is just one tool in the suite — OfficeLabs will ensure you get the most out of each application. Making sure your business runs as smoothly and efficiently as possible is why OfficeLabs has been chosen by both FTSE 250 companies and huge public sector bodies, and our no-jargon approach will let you talk to us with confidence about your requirements.